Unlike most restoration firms, we are capable of responding to hazardous spills. 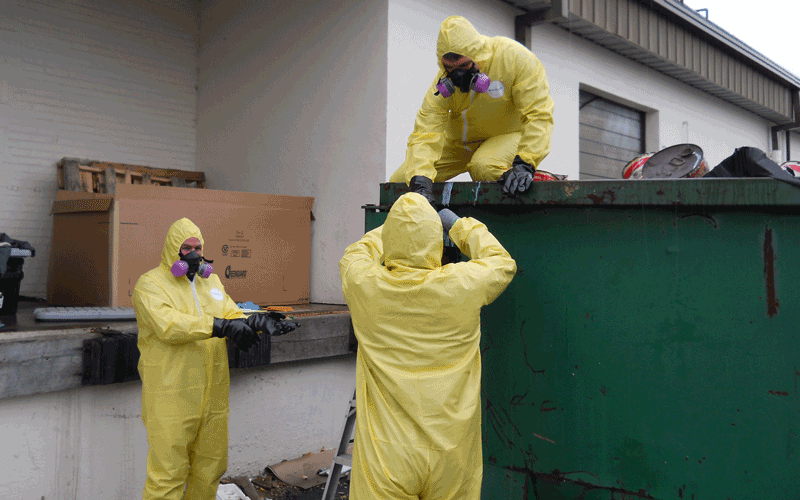 We are equipped to handle containment, cleanup and disposal of hazardous materials. Our technicians are specially trained in OSHA Hazardous Waste Operations and Emergency Response (HAZWOPER). And we have 20 years experience in handling hazardous spill cleanups. We realize that you want your property restored back to the condition it was in prior to the hazardous spill as quickly and efficiently as possible. At Active Disaster Response & Restoration, we are committed to doing just that. We get your property back to pre-spill conditions quickly. Our experience and spill cleanup methods allow us to complete the necessary response and restoration activities as quickly and efficiently as possible. We can save your belongings. Often, we can use specialized equipment and cleaning methods to clean and restore important items (papers, furniture, clothing, electronics, computers, etc.) to their prior condition. We assist you through the insurance claims process. We work with you and your insurance carrier to expedite the claims process. We assist you through the regulatory process. We work with you and local, state and federal agencies to speed up the notification and reporting process. If you need assistance with a hazardous spill cleanup, call 609-702-1500 to speak to one of our professionals.